Designed with your bottom line in mind, the imageRUNNER 1435i helps minimize costs and maximize reliability, while the robust design helps ensure long, dependable operation. Small enough to fit on a desktop, the imageRUNNER 1435i can be used by itself or as part of a larger Canon MFP fleet. An ideal replacement for single-function printers or older models, the imageRUNNER 1435i easily integrates into your network and streamlines management and maintenance of your devices. With a first-copy out time as fast as 6.9 seconds and output speeds up to 37ppm, the imageRUNNER 1435i allows you to accomplish a lot in a small space. Copy, print, and scan documents in sizes up to 8-1/2" x 14". Maximize resources and boost productivity with the standard 600-sheet capacity that can be increased to handle 1,100 sheets. 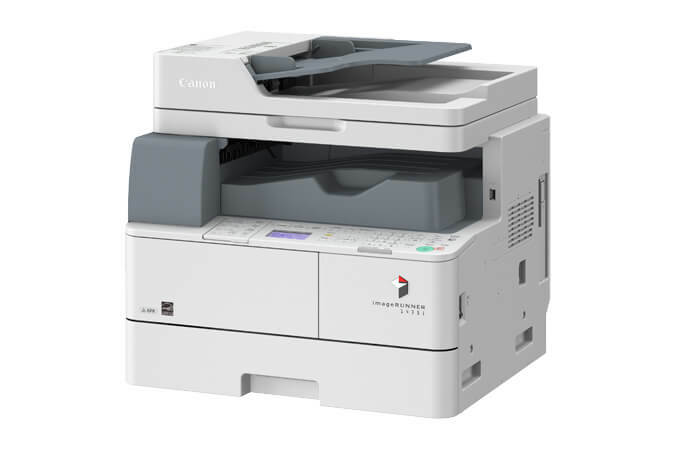 Ideal for printing business documents, the imageRUNNER 1435i supports Canon UFR II LT as standard, and PCL 5e/6 and Adobe PostScript 3 as optional.